Ithaca College’s No. 5 ranked wrestling team was back in action on Nov. 19 for the 2017 New York State Collegiate Wrestling Championships, at Cornell University. The Bombers saw plenty of success, tying the team’s best finish ever at the event by taking home third place, out of a field of 23 total teams. This finish marked an improvement over the team’s fifth place finish in the championships a season ago. 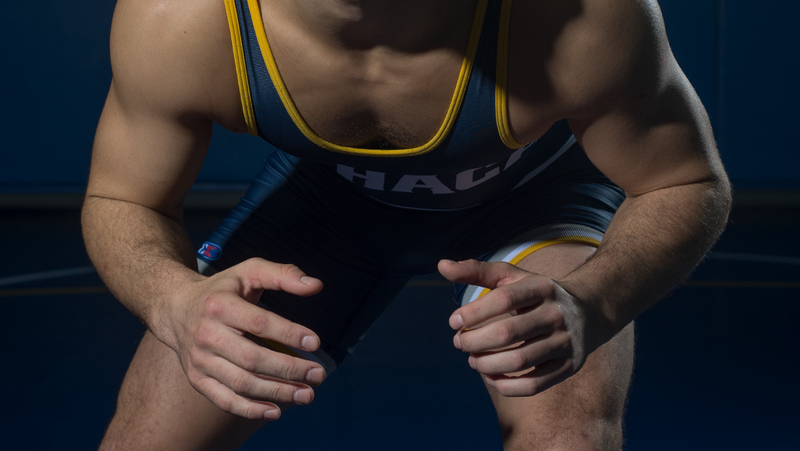 The Blue and Gold earned 119.0 points, coming in just behind Cornell University and the United States Military Academy Preparatory School, both of which are NCAA Division I programs. The Bombers had 24 wrestlers compete, with seven of them earning All-New York State honors. Junior heavyweight Jake O’Brien won all four of his bouts to take home the weight-class championship. O’Brien came in ranked fifth in the country and beat three Division I wrestlers on his way to the title. Sophomore 157-pound grappler Sammy Schneider and senior 165-pounder Nick Velez also advanced to the championship round of their brackets. Both would lose their final bouts, ending the day with second-place finishes. Both Bombers were ranked second and third, respectively, among Division III wrestlers at the event. The Blue and Gold saw even more success on the day from junior 184-pounder Jake Ashcraft and sophomore 141-pounder Ben Brisman. Both finished third in their respective weight divisions. The South Hill squad saw two final All-New York State earners each end their events as seventh-place finishers. Sophomore 133-pounder Tito Colom and senior 184-pounder Jaison White were both 4–2 on the day in their respective weight divisions. After a solid weekend, the Bombers will have a chance to rest up before their next meeting on the mats, which will be at 9 a.m. Dec. 2 for the Spartan Invitational in York, Pennsylvania.